These doors can be any variation of our swing and sliding doors that are custom made for equipment access or other applications. In addition, we offer vertical and horizontal sliding passthrough window kits. 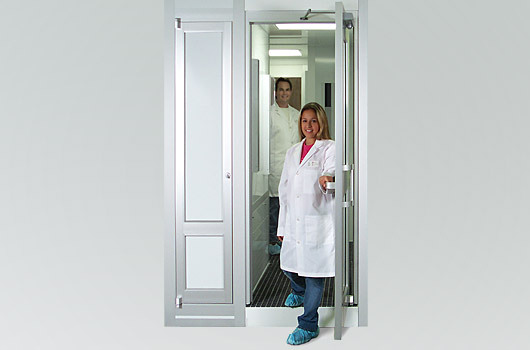 Lasco Services manufactures aluminum cleanroom doors for both its own wall systems and also for other wall types. 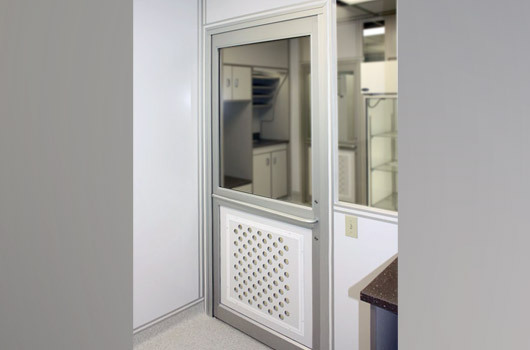 Our swing, sliding, and specialty doors all offer a wide variety of sizes, finish, hardware, and panel options to provide you with the best methods of access. 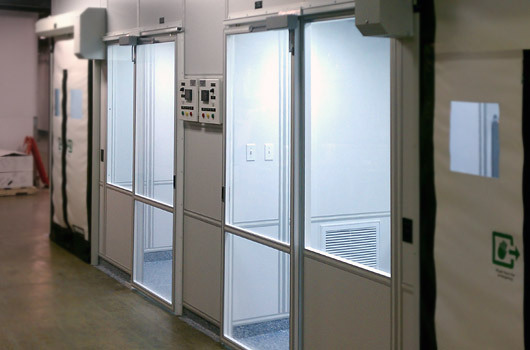 We also integrate hollow metal, automatic sliding doors, high performance roll-up, and manual roll-up doors into our cleanrooms.